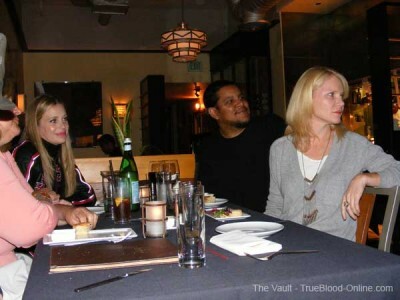 As featured on The Vault - TrueBlood-Online.com. Abri van Straten was scheduled to appeared at The Foundry last night and I thought it would be fun to go and hear him sing and also finally meet his wife, True Blood's Pam, Kristin Bauer, so I drove to Los Angeles for an evening of music. When I arrived, at the very comfortable and engaging venue, I noticed that seated at the first table was Chris Pierce, Kristin Bauer and, as an additional treat, Tara Buck, who plays Ginger on True Blood. She was there, like Kristin to support Chris, her boyfriend who was scheduled to play a set of his music after Abri. Since Abri's set hadn't yet started, I went over to their table, introduced myself and we talked for a few minutes. I was happy to learn that Ginger, Tara's character on True Blood, will be back in Season 4 because Tara told me she had just finished filming some scenes. Tara has also been actively busy guest starring on several network shows such as Justified, TNT's Southland and Cold Case. 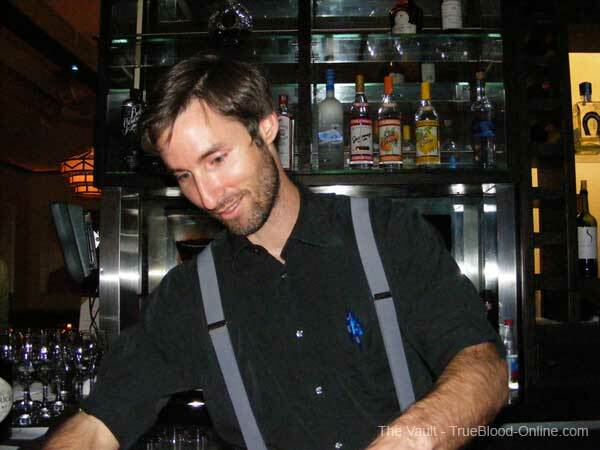 Another surprise of the night was meeting a person who is yet to be seen on True Blood, Ryan C. Burney. Ryan who doubles as the Foundry's Bartender, just completed a part in two episodes of Season 4 and while he couldn't really tell me much, he did say that we will love the upcoming season. He also told me that his scenes were "historic" in nature and that they included True Blood's latest star, Fiona Shaw. Ryan was very impressed with Fiona's acting abilities and said that, in one particular scene, he found her to be very moving, and he so wanted to react, but his part wouldn't allow him to. I'll let all you speculators out there run with this, because that's all I'm saying about it. As we talked at the bar, I asked him about his audition and he said that since his wasn't a speaking part, all he did was submit a photo to get it. He stated that HBO was looking for someone with a beard, and since he hadn't shaved recently, he fit the part nicely. Learn more about Ryan at his IMDB page. Then, the music sets for the night began. First Abri played songs from his solo album Sunlight & Shadows, which were lilting and lovely. 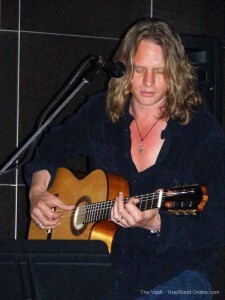 He also played songs from his former band, The Lemmings. I enjoy so many of his songs, that it's difficult to choose my favorites, but one I especially liked hearing again was, "Rain". Learn more about Abri by going to his web site. I'm familiar with Abri's music because I have his CD, but I wasn't as familiar with Chris Pierce who took over the stage for the second set of the evening. 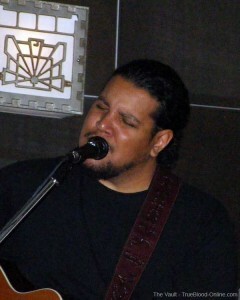 He is a California native who sings with a lot of soul and spirit. 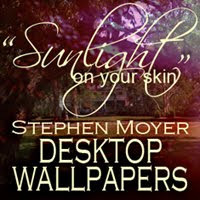 I especially liked his song, "Are You Beautiful" from his album, "Intimate Moments". Learn more about Chris by visiting his web site. Abri’s van Straten's CDs are now available on Amazon.com, if you order them from his Amazon store front you will receive a copy signed by the man himself and a signed photo of Kristin Bauer. Check it out here. Chris Pierce's albums are now available on (four albums) are available on ITunes here. Thanks to the True Blood actors and the wonderful musicians who made the night an enjoyable one.